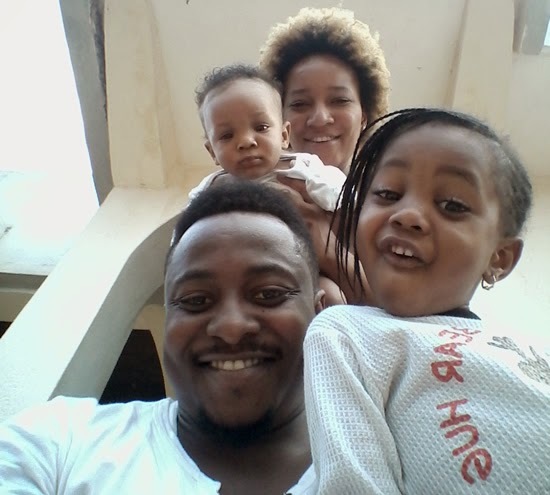 Big Brother Africa season 4 (The Revolution) winner, Kevin Chuwang Pam and Tanzanian wife, Elizabeth Gupta-Pam celebrated four years of blissful marriage recently. They had a low key celebration as a family. 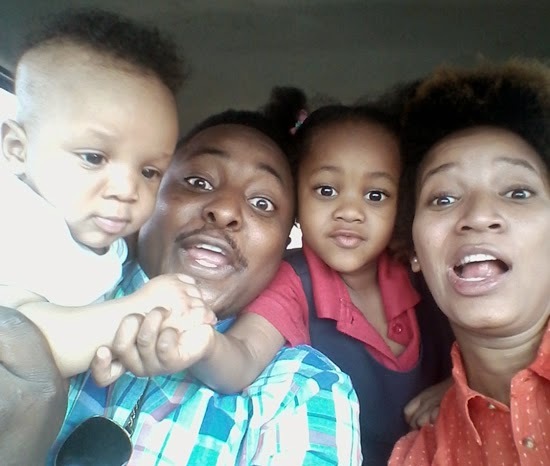 Encomium Weekly had an interview with Kevin on the four years of marriage, fatherhood and why they relocated to Jos. How does it feel clocking four in marriage? It doesn’t really feel different, but it really feels good to know you are moving forward. Interesting. All of a sudden, my priorities have changed, my movement has changed. I have a family now. I have to put them into consideration in everything I do. Trying to balance the life of a family man and career. It has been quite tasking. What will you say has sustained your marriage in four years? God, the grace of God. He gives us the patience and every other quality you need to succeed in it. Can you recall how your path and that of your wife crossed? Everybody can recall for us. It all started in Big Brother Africa. How will you describe her? She is the smartest woman I have ever seen. She has been through a lot, yet she is standing. She is a pillar of support, a great helper. Despite the fact that our culture differs, she has adapted to our culture. She can cook any traditional soup. She is really trying. Can you share some of the challenges the marriage has faced because of the cultural differences? Yes, there are definitely some challenges. Some things came as a shock. At first, the food, soup and some other things. There were some adaptive features we had to discuss and sort out but things are fine, she is doing quite okay. How often does she visit Tanzania? As often as she wants to go, depending on what she is going to do. She went four months ago. It wasn’t something too big. We went out, hung out together, had jokes and that was it. We learnt you had a baby four months ago, how does it feel to be a father again? It is an awesome feeling. It comes with this different instinct, a feeling of joy, happiness and relief that the long wait is over. Can you compare the two experiences? The first time was mind blowing. You never had that feeling or experience before. The first experience was really different. The second also came with joy but not as much as that first experience. We also gathered that you have relocated to Jos, why? I started doing a lot about youth development tagged, Jos Bring It On. I came to Jos to seek talent. I want to give the youth a chance to express themselves and pursue a career in entertainment. We also opened a restaurant. Politics is another reason for relocating. Politically, we are creating awareness for the youth to change their outlook to life and political matters. My wife runs the restaurant. We call it Gupsy Delight. We sell intercontinental and African dishes. We have Tanzanian dishes at Gupsy Delight. The reception was good though, it may take time before we take it to the place of our dream. If you are invited to Big Brother again, will you honour the call? It all depends. If what is at stake is worth it, why not? Then, if I am chanced to go, I will weigh everything first. What about your wife, will you allow her go? It depends on her. If she wants to go, is it worthwhile after weighing it. It is okay.